Ridgeland, Miss., (October 10, 2018) – C Spire has joined a national network of state and regional fiber providers as part of its efforts to offer more businesses and enterprises, particularly those in rural and underserved areas, with reliable wholesale access to broadband connectivity via fiber optic network routes across the U.S.
INDATEL Services has members in 30 states with over 700 independent rural exchange providers servicing more than 300,000 buildings and over 1,100 points of presence, over 5,000 communities using six nationally aggregated points of presence over a network comprised of over 100,000 fiber optic route miles of middle and last-mile network. “We’re pleased to join a nationwide network that provides best-in-class connectivity and reliable bandwidth solutions in rural and urban areas,” said Don Monistere, general manager of C Spire Business, the company’s subsidiary that provides a comprehensive suite of cloud, IT managed and professional services to businesses. C Spire is one of only two companies that have recently joined the organization who offer statewide services, according to INDATEL CEO Mel Wagner Jr. “With our expert teams, tools and network, we’re excited about partnering with C Spire to provide Ethernet connectivity, content delivery and internet access to even more customers in rural areas,” Wagner said. With a nationwide collaborative business model, Wagner said INDATEL can serve as a one-stop shop for quotes, orders, service delivery, network operations and billing for government, wireless and enterprise customers and act as a single national point of contact for carriers and system integrators. 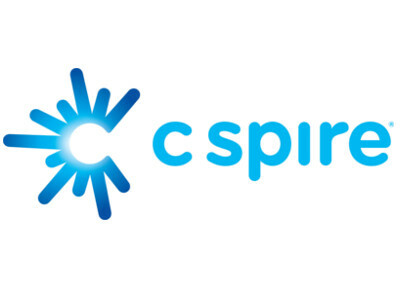 The combined C Spire Business unit features a workforce of over 500 service professionals, over 8,600 route miles of fiber optic infrastructure with major locations in 12 cities and operations in three states – Mississippi, Alabama and Tennessee – multiple data centers in several states and the ability to serve voice, IP/data, cloud and managed and professional services customers anywhere in the country. With a recent acquisition, C Spire is ranked ninth in the world among all cloud services providers. The company was honored earlier this year by Cloud Computing Magazine with a national cloud computing industry award for expansion of its Cloud Metro Edge services across most of the Midwest and Southeastern regions of the U.S.
INDATEL Services is a national network that provides fiber connectivity to rural and urban America. INDATEL is uniquely positioned to provide broadband telecommunications services to many places other carriers cannot deliver services via 30 state and regional wholesale member-owners and affiliates. INDATEL’s national network represents over 100,000 fiber optic route miles and 300,000-member serviceable buildings serving over 5,000 communities that use over 1,100 nationwide points of presence and representing 700 independent rural exchange providers. For more information about INDATEL Services, visit www.INDATEL.com.